Spices and seasonings are what give sausage its tasty zing and help differentiate between distinct types of sausage. For example, chorizo is essentially the same thing as Polish sausage until you change up the way it’s seasoned. Not all flavors are suitable for all palates, but there are a few spices that are common enough to be in every sausage maker’s pantry. 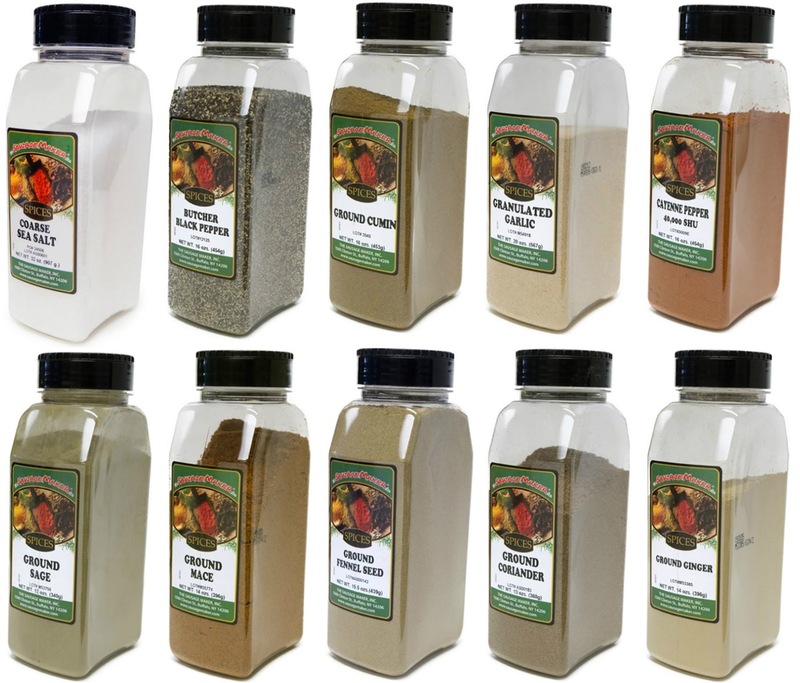 Below is our vital list of spices and seasonings for sausage recipes. Salt: While salt may seem like an ordinary ingredient, it is essential to sausage making. 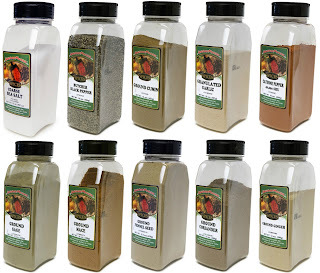 Plenty of different kinds of salt are available, but you’ll want to be sure to use one that is free of additives—most table salt includes iodine as well as some chemicals that allow it to flow freely out of the shaker. Pickling salt is one of the best kinds to use for sausage making. It dissolves fast and is free of additives, plus it adds lots of flavor to the dish. It also aids in the curing process and provides firmness. Sausage needs salt to hold water and add juiciness. Most sausages contain 1.5 to 2 percent salt. Make sure to keep your salt content under 5 percent, as any higher than that will make your meat too salty. Pepper: This spice is just as ordinary as salt and as necessary. If you want a more peppery sausage, consider buying the whole seed variety and grind it up fresh just before adding it to your meat mixture. Coarse ground black pepper is generally used when making blood sausage, fresh sausage or Polish sausage, while finely ground white pepper is best for other kinds like bologna, hot dogs and Krakowska sausage. Cumin: Cumin comes from the Apiaceous family and is a close relative of coriander, dill and anise. For maximum flavor, use freshly ground cumin, but keep in mind that its taste is strong, so it can take over a dish pretty easily. Use it when you’re making an Armenian-style sausage like red soujouk or a Middle Eastern variety such as makanek. Cumin is also used in lots of Mexican and Asian sausages. Garlic: When adding garlic to your sausage, fresh is always the best choice because of the better smell, taste and texture. However, fresh garlic doesn’t last long once you’ve chopped it, so depending on how you’ll be making your sausage, granulated may be your only option. If you buy a toasted version of granulated garlic, then the sausage will have a smoky flavor. In many recipes, granulated and fresh garlic can be swapped out as needed. You can even use them in the same quantities, making the choice a matter of personal preference. Add garlic to your fermented Thai nham sausage or Andouille. Cayenne: This chili pepper measures between four and 12 inches long, thin and with a spicy flavor. Its degree of hotness will depend on where it’s grown. Cayenne that is grown in a hot, dry environment will be hotter than peppers grown in wet, cool climates. Use cayenne for your hot Italian sausage and your Andouille. Sage: This leaf comes from the mint family and looks like a shrub with a woody stem and purple flowers. Sage is fragrant with a distinctive odor you’ll recognize when you smell it. Its taste tends to be somewhat bitter and strong. Because of this, it's best to use sage sparingly to keep it from overpowering your dishes. Most sausage makers use sage in breakfast sausage. is a seasoning that many sausage chefs add to the meat mixture. In the food world, mace is considered a savory spice. Because it does have a strong flavor, use it in moderation to prevent it from overpowering your other sausage ingredients. Use mace when you’re making homemade bratwurst and wieners. 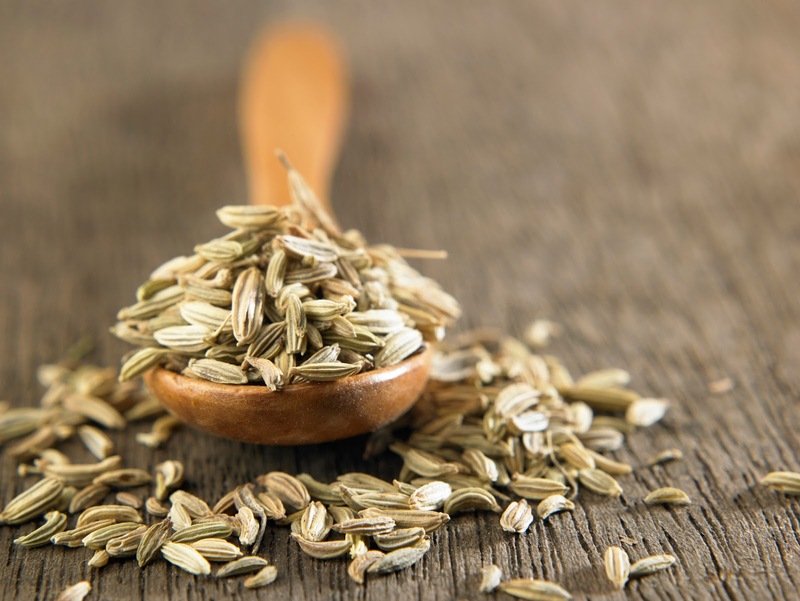 Fennel: The fennel plant features a mild flavor that is likely to remind you of licorice. Fennel is the dominate flavor in Italian sausage and the one that gives the meat its tasty punch. 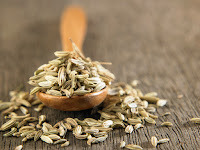 Fennel seeds are in the spice category while the roots, leaves and stalks of the plant are considered an herb. Use fennel when making any variety of Italian sausage including sweet, medium or hot. 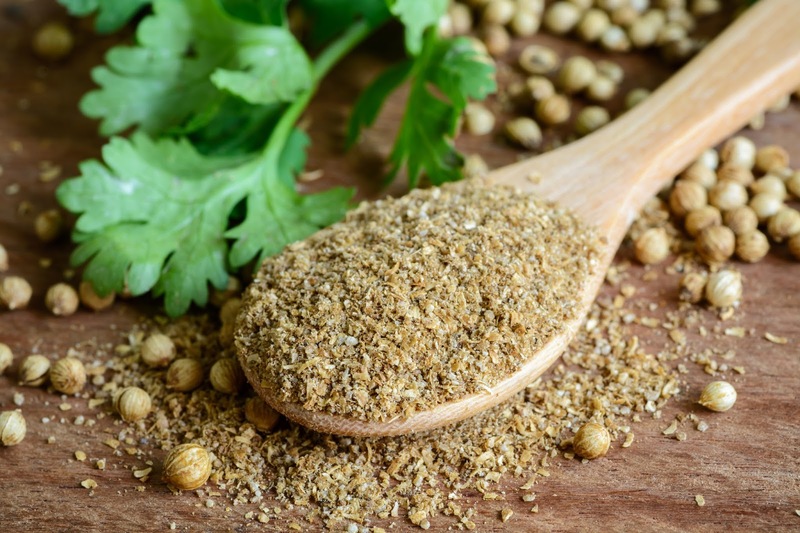 Coriander: Coriandrum sativum is a plant that produces both a spice and an herb. The leaves of the plant produce cilantro, while its dry fruits are the coriander seeds. Coriander’s flavor is citrusy and curry-like. Use it to make dried South African droëwors sausage or mettwurst. 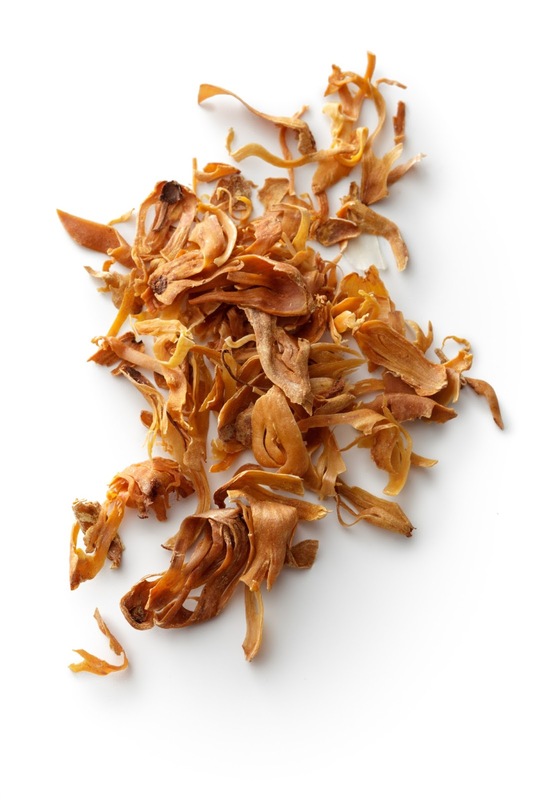 Ginger: With its spicy flavor and ability to merge with other spices, ginger is a popular sausage ingredient. Its peppery, warm taste features a slight punch of lemon, and you’ll need to use it when you’re making salami and bratwurst. It’s also common in cervelet and thuringer sausages. With the right spices and seasonings, your sausages can take on a whole new level of flavor. You might even create a signature dish! Share your favorite sausage spice combinations with us on our sausage making forum or on Facebook.